Want to read what our clients are saying? Click here. For more information, visit ThankTankCreative.com. Browse the OUR WORK link and use the simple contact form on the bottom of the page to get started. ThankTank Creative. Ideas in Action. My daughter, who was recently accepted as a freshman to Geneseo, chose veganism as the subject of her senior high school research paper (she got a 97). Let’s just say it’s obvious, between the two of us, who has the brains in the family. One out of ten of your friends over twenty-four are following the healthiest diet available. Even more of your younger friends, ranging from sixteen to twenty-four, are following it (Jourdan). Their diet consists of only plant-based foods, cutting out all meats, dairy products, and eggs. Not only are these people healthier than anyone else, they also have a limited chance of getting diabetes, acquiring heart problems, or cancer. Vegan diets are spreading rapidly to both adults and children. About five percent of children and infants are on a complete plant-based diet and are vastly healthier than children who are not (Rosen). Not only does veganism save your life, but it also saves the lives of animals. Farm animals are killed in slaughterhouses to be sold in your local grocery store. Once dairy cows and laying hens reach their reproductive capacity they are murdered, but even before that point they are grossly abused for their milk and eggs. The way animals are being raised today is “destroying and depleting our arable land, potable water, and clean air.” The majority of land around the world is used to raise animals for food. This business is polluting our air and destroying our topsoil due to bacteria, antibiotics, hormones, and pesticides from animal excrement (Fallon). As we continue to eat more meat, eggs, and dairy; we continue to kill the Earth as well as ourselves. Living off of a plant-based diet is extremely beneficial to both adults and children, causing them to live longer and have healthier lives. Fifty-seven million Americans are prediabetic, excluding children, actual diabetics, and people from the other one-hundred-and-five countries around the world. Now imagine if this number could be erased entirely. Living off a healthy diet without any meat, dairy, eggs, or any other animal products can not only prevent Type One and Type Two Diabetes but also reverse it completely. After living on a consistent, low-fat plant-based diet for several months, severe diabetics are able to stop taking their medications and many say that their new-found diet works better than their medication ever could (Jad’on). Not only can a vegan diet prevent both types of diabetes, but it can also lower high cholesterol levels enough to prevent all heart problems. Dr. Kim Williams, a well-known and trusted cardiologist in Chicago, learned that his “bad” cholesterol level, also known as LDL, was too high and pursued a plant-based diet. After only six weeks of his new diet, his cholesterol level went from one-hundred-and-seventy milligrams per deciliter to only ninety. On average, a healthy LDL level is between seventy to one-hundred-and-thirty mg/dl (Deardorff). According to the Senior Policy Director for Farm Sanctuary, Bruce Friedrich, meat, eggs, and other dairy products contain very high levels of cholesterol, as well as saturated fats. These not only slow people down and make them less energized, but also can kill them in the long run. In August of 1999, the American Journal of Cardiology published an article which stated that patients on a plant-based have become “heart attack proof.” The evidence to this is that all vegan eaters have a cholesterol level below one-hundred-and-fifty milligrams per deciliter, the “level below which no one has ever been documented as having died of a heart attack” (Fallon). High cholesterol levels also lead to a slowed metabolism and a less energized personality, which causes extreme weight gain. People on a low-fat vegan diet feel more energized after only two weeks, however with a regular exercise schedule they are even more fit and active. In order to keep our bodies in working order, we need complex carbohydrates and fibers, which cannot be found in eggs, meats, and other dairy products. After a few years on a plant-based diet, the majority of asthma patients are able to stop using their inhaler and patients who have angina, severe heart pains, suffer limited attacks (Fallon). A vegan diet also benefits those with allergies, eventually eliminating them completely. People with severe acne or other skin problems, like eczema, will have limited skin imperfections. Robert Conti was diagnosed with an extreme case of multiple sclerosis, causing his shoulders to lose feeling and almost shutting down his urinary tract and bowels. After only a few short months on a plant-based diet, lead by McDougall Wellness Center, Conti gained control of his shoulders again and is healthier than he has been his whole life, and he is fifty-six-years-old. His doctor states that he could no longer detect a plaque build-up on Conti’s spinal cord and Conti says that without his vegan diet he would “be using a wheelchair for mobility and eventually require communication aids” (Templeton). Gary Fraser conducted a study on thirty-five-thousand vegans, testing illnesses from diabetes and terminal illnesses, and heart diseases. Fraser found that vegans have little to no risk of heart disease, as well as many cancers (Weintraub). As for heart disease, it is mainly caused by high levels of cholesterol and saturated fat intake which is found primarily in eggs, dairy, and of course, meat. The American Heart Association restricted the amount of saturated fat consumption to only six percent of one’s daily calories in order to encourage the utilization of polyunsaturated fats, which prevent heart disease, like omega-three and omega-six (Deardroff). Heather Moore conducted a plethora of research on veganism and the damages to our health and found that regular consumption of egg yolks is “almost as bad for your heart as smoking.” This is because smoking and egg yolks both accelerate atherosclerosis, a detrimental disease in the arteries which prevents plaque of fatty material to attach to the body’s inner walls. Heart disease and cancer are clearly caused by meat and dairy, but can easily be prevented by a plant-based diet. According to Bruce Friedrich, “people who consume animal products are … four percent more susceptible to cancer.” The risk of colon cancer is three times as likely in meat eaters than in people who follow a vegan diet (Fallon). Prostate cancer can be reversed or prevented completely with a vegan diet as well (Weintraub). An anti-vegan advocate, Thea Jourdan, even states that the risk of bowel cancer is increased by one fifth on a carnivorous diet rather than a vegan one (Jourdan). Cancer is the number two cause of death in America, but obesity is one of the leading factors that contributes to the other main causes of death. More than sixty percent of people in the United States are either obese or overweight (Templeton), however people who live on plant-based diets have the lowest levels of obesity (Weintraub). Some of the professions that struggle the most from weight problems are veterans and police officers. The top cause of military ineligibility is obesity; although, once in combat it is almost impossible to live a healthy lifestyle due to the harmful meals filled with saturated fats and other damaging nutrients. Almost eighty percent of veterans are overweight or obese after entering the military. The Pentagon spends over one-billion dollars on illnesses related to obesity and heart diseases, and that number does not take into account other health problems like the common cold. “Law enforcement is the fattest profession in America” and when all police officers, firefighters, and security guards are combined, almost fifty percent of them are obese. “Police officers are twenty-five times more likely to die from weight-related disorders such as heart disease than from fighting crime.” Our nation’s healthcare bill totals over two trillion dollars and seventy-five percent of that treats “heart disease, diabetes, high blood pressure, and obesity” (Atcheson). Veganism has also been proven to help you live longer, due to promoting a healthier life. According to David Templeton, “a low protein diet during middle age likely is beneficial to prevention of cancer, overall mortality …” A study made by the National Health and Nutrition Examination Survey stated that people who eat protein from plant sources are healthier and live longer than anyone who eats other protein sources, like meat (Moore). Although living a vegan diet is much better than a carnivorous one, it is important to still eat meals with low-fat content. Vegans and vegetarian who eat primarily pizza, potato chips, and other junk foods are much less healthy than the average meat-eater. However, if a plant-based diet consists of low-fat meals, it will be much more beneficial to one’s health than a diet filled with meat, eggs, and dairy (Weintraub). The main argument on many vegan’s minds is that red meat is extremely dangerous to one’s health. 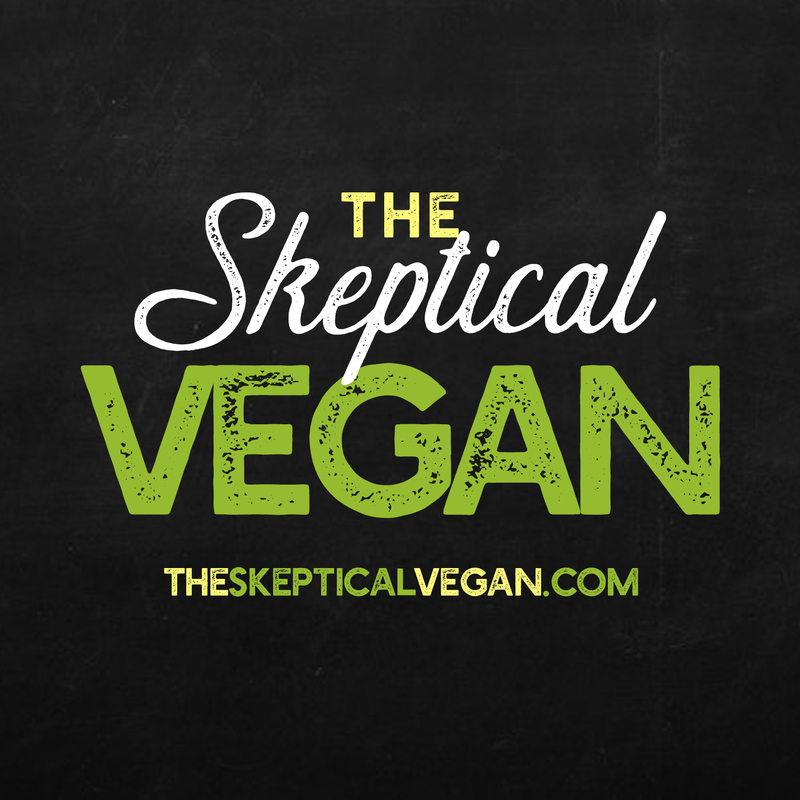 Thea Jourdan argues that red meats have large amounts of myoglobin, “a protein found in the muscles of mammals.” Many advocates against a plant-based diet believe it is impossible to get enough protein with a vegan diet; however, a study in Cell Metabolism found that a low protein diet is actually beneficial to all of the same things a vegan diet helps (Templeton). The only nutrient problem facing vegans is ingesting too many carbohydrates, but it is very uncommon for vegans have to high carbohydrate levels and it is easily avoidable (Deardorff). Sally Fallon believes that marginal land used for corps as opposed to raising animals is more damaging to the land. Animal hooves help aerate the soil and urine and manure help to fertilize the soil. Bruce Friedrich counters this argument by mentioning how animal excrement carried harmful bacteria to the land (Fallon). There are numerous beliefs that a vegan diet for adults is detrimental to the health of adults, but the arguments towards vegan infants and children are much more extreme. The number of vegan children is progressing just as quickly as vegan adults, both moved from three percent in 2010 to over five percent in 2012. Youth polls typically follow the same paths as adult one’s, so if the number of vegan grown-ups keeps raising, the number of vegan children will as well (Rosen). One of the main concerns parents have about switching their child to a plant-based diet is whether or not they will receive enough nutrients. For the first six months after birth, infants are on a strict diet of only breastmilk. Breastmilk of vegan or vegetarian mothers’ is just as healthy, if not more, than the breastmilk of a woman who eats meat. A study was conducted on four-hundred infants and children, where seventy-five percent of those children were birthed by vegan mothers. It was found that the infants were low in birth weight, however it was not detrimental to any of the children’s health and the numbers were similar to “well-educated United States white women.” Nutrients in breastmilk are very important to the growth of children because it is filled with vitamins and minerals. The content of vitamin A, C, and D are all the same in vegan and carnivorous women. The only difference between the two types of mothers is the saturated fat, eicosapentaenoic acid, linoleic acid, and linolenic acid contents. In the breastmilk of vegan women, there are lower levels of saturated fat and eicosapentaenoic acid, but higher levels of linoleic acid and linolenic acid. High levels of linoleic acid make it more difficult to promote the synthesis of docosahexaenoic acid, which is a n-three fatty acid important for the growth of the brain and retina. This problem is easily avoidable if the mother intakes more food with high levels of linolenic acid, like flaxseed and flaxseed oil, canola oil, and soybean oil. The diet path for vegan and carnivorous children are very similar. After six months of breastfeeding, infants are moved into solid foods. Whereas solid foods for meat-eating children consist of a high-protein diet of chicken, turkey, and milk, vegan children get their protein from healthier places, like tofu, dried beans, and other soy-based products. Vegan infants and children may lack certain nutrients in their diets, but it is easily avoidable and very rare. Children being raised on a vegan diet may need supplements of B12, zinc, iron, and vitamin D. B12 helps support rapid growth in a child, which can help with infants who were born with a low birth weight. Zinc and iron supplements are usually not needed, but if infants transitioning into solid foods are not getting enough of either minerals in their diet, a supplement may be needed. Vitamin D is only recommended for children who do not receive enough sun exposure, but they can be raised just by laying the infant in the sun for a few hours per week. Aside from needing possible supplements, the only other problem that arises is children who are allergic to soy. For mothers who are unable or who do not want to breastfeed, the only other option for the first six months is a soy-based formula. A soy-based formula is just as healthy as breastmilk and regular milk; however, there are no other non-dairy formulas on the market that do not include soy (Mangles). Only 0.4 percent of children are allergic to soy, so a problem has not arisen where we need another dairy-free formula, but eventually it will be important to let all parents have the choice to raise their children on a plant-based diet. As of 2012, over five percent of adults and children in the United States are vegan. Avoiding meat, dairy, eggs, and other animal products has been proven to be healthier for both adolescents and adults (Rosen). Plant-based diets make problems like diabetes, heart disease, and cancer completely avoidable. If information spreads about the health benefits of a vegan diet, less people will die of these diseases, and others. A plant-based diet is not only healthy for yourself, but also for the lives of animals who are suffering in order to keep the meat and dairy operations alive. Over three-thousand animals are murdered per second; that is fifty-six billion animals per year (“Food”). Raising animals for food is damaging land and air, but using this same land for crops will eventually make it more aerial and fertilized. Overall, a vegan diet is more healthy than a carnivorous one to both the human body, of adults and children, and the lives of innocent animals. Atcheson, Robert. “Why Real Men Don’t Eat Meat.” USA Today 30 July 2015: n. pag. Print. Tribune [Chicago, Illinois] 17 Aug. 2014: n. pag. Print. [Bideford, United Kingdom] Oct. 2011: 1-4. Print. “Food.” Food. Animal Equality – Activation for Animal Rights, n.d. Web. 17 Dec. 2015. Spice [Jebsen Beach, USA] 08 Oct. 2009: n. pag. Print. Jourdan, Thea. “Why Red Meat Can Be Good For Your Health.” Daily Mail [London] 03 Nov.
Association (2001): n. pag. ProQuest. Web. 8 Dec. 2015. Animals [Glenview, Illinois] 10 Apr. 2015: n. pag. Print. Minnesota] 27 Mar. 2013: n. pag. Print. Education. Food Allergy Research & Education, n.d. Web. 17 Dec. 2015. <http://www.foodallergy.org/allergens/soy-allergy&gt;. Pennsylvania] 1 July 2014: n. pag. Print. Weintraub, Karen. “Eat Less Meat.” Boston Globe [Boston, Massachusetts] 9 Sept. 2013: n. pag.